At this day and age, fashion influencers are all over social media. Fashion shows are no longer the source of the latest in.. The Spring/Summer 2019 Fashion Week has now ended. The top designer brands were able to showcase their upcoming collections. Chanel had a sea-themed..
Countdown to Spotted Fashion's Top Posts of 2014! As we bid farewell to 2014, let’s take a look at this year’s top 5 posts. The top posts included the two most.. While perusing the bag aisle for the upcoming Fall / Winter 2014 collections, I spotted a peculiar looking Balenciaga City Bag. 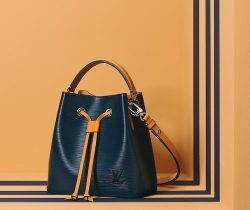 It’s this gradiated..
Buying vintage designer bags can be tricky as bags that have survived decades may have surprises that you may have not anticipated. There..
Balenciaga, Bottega Veneta, Celine, Chanel, Chloe, Christian Dior, Editorial, Featured, Fendi, Givenchy, Goyard, Hermes, Louis Vuitton, Marc Jacobs, Mulberry, Prada, Proenza Schouler, Saint Laurent, Valentino, Where to Buy? Here at Spotted Fashion we try to be the foremost when it comes to providing reliable data and also to be able to.. Which City is it the least expensive to buy a Chanel Jumbo Flap Bag? Now that all the prices have been updated for the second quarter of 2014 for US, UK and Europe; it’s time to break-down in..